Almost two decades ago, Drs. 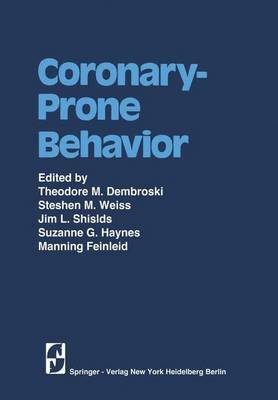 Meyer Friedman and Ray Rosenman de- veloped the concept of the Type A coronary-prone behavior pattern and pioneered research in the area. Since then, much effort has been devoted to investigating both medical and psychosocial implications of this phenomenon by an impressive array of biomedical and behavioral scientists. On the basis of the National Heart, Lung, and Blood Institute's (NHLBI) recent Congressional mandate concerning disease prevention and control, the Division of Heart and Vascular Diseases undertook an intensive review of the existing literature in this area. The review underscored that the very nature of the concept of coronary-prone behavior requires examination by researchers from a variety of disciplines. Publication of findings in both the medical and behavioral literature, however, has created difficulties in gaining a truly com- prehensive understanding of the total effort in this area. It became obvious that there was no coherent integration of information regarding the strength of the association between behaviors and disease processes (or outcomes), how be- havioral factors associated with coronary heart disease were measured, the possible physiological mechanisms mediating the relationship between be- havior and disease, whether intervention could be effective, and what forms of intervention appeared most promising. In short, a clear need existed to or- ganize this information in a more coherent fashion so that it could be subjected to critical review by members of both the medical and behavioral scientific communities.